SIZE : 15" - 27" RIB LENGTH (CUSTOM SIZE IS AVAILABLE). OPTION : LOGO PRINT ON HANDLE & SHAFT (ONLY FOR WOODEN & FIBER GLASS SHAFT). Put your funny cartoon on the cover or use patented Cartoon plastic handle to attract kids. Blaster card + PVC packing is available. 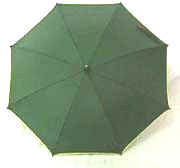 24" x8 manual/auto open wooden stick umbrella with sharp color edge ribbon. 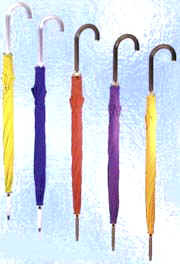 It will make your umbrella special & elegant !!! We also could use wooden tip cup to make it more special. 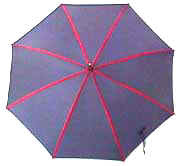 ¡@ 24" x8 manual/auto open wooden stick umbrella with high quality color off set printing photo on the Pongee fabric. 24"x8 ribs wooden stick umbrella by using fire burnt mark handle and shaft + a brass metal name plate on the wooden crook handle. 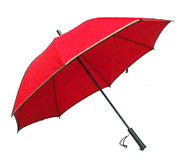 ¡@ 21"x8 ribs metal shaft manual open lace fabric stick umbrella + special bamboo handle (could be plastic or real bamboo handle). 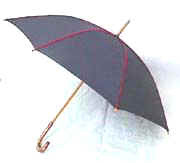 ¡@ 24"x 8 ribs manual/auto black coated metal shaft & ribs stick umbrella. The end point of the shaft could be original shaft end, copper end or red plastic end. 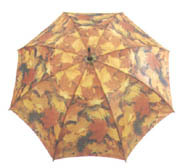 N-F ELEGANT PVC UMBRELLA BY USING GOLD COLOR RIBS AND WOODEN SHAFT OR METAL SHAFT. 24"x8 ribs manual open wooden/metal shaft and wooden/plastic crook handle with 2 section colored PVC cover. 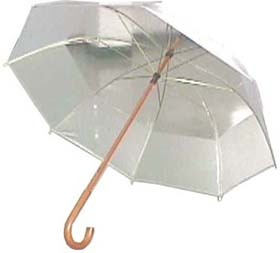 24" silver/black Aluminum shaft umbrella with PONGEE cloth or silver coated anti UV nylon fabric. 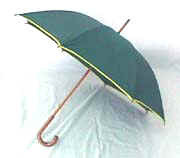 ¡@ 24"-30" stick umbrella with water stripper to ensure no water flow on to floor.